- Used parts 50% below retail or less! - Money-back guarantee! - all orders ship within 24hrs! - We welcome foreign orders - reasonable USPS shipping rates. We specialize in used BMW motorcycle parts for K-bikes, Oilheads, Hexheads, and K1200S/R/GT bikes. We also stock new maintenance parts including oil filters, brake pads, complete 12/24K maintenance kits, batteries, fuel pumps, electrical parts, and many more. 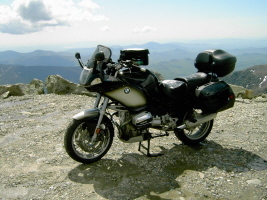 Why put up with high prices from your local BMW motorcycle dealer or the hassle and uncertainty of buying BMW motorcycle salvage parts on Ebay? Beemerboneyard has the parts you need at a great price with a money-back guarantee and shipped within 24 hours.